And I'm Steve Ember with EXPLORATIONS in VOA Special English. Today, we explore some national parks of great beauty in the American West. Millions of people from all over the world visit the state of Utah every year. One reason is the many national parks. These are areas of great natural beauty that are protected by the United States government. More than three hundred fifty national parks can be found in the United States. Today we will visit four of them -- all in the state of Utah. These parks include huge colored rock formations, rivers, waterfalls, beautiful trees, other plants and many different kinds of wild animals. 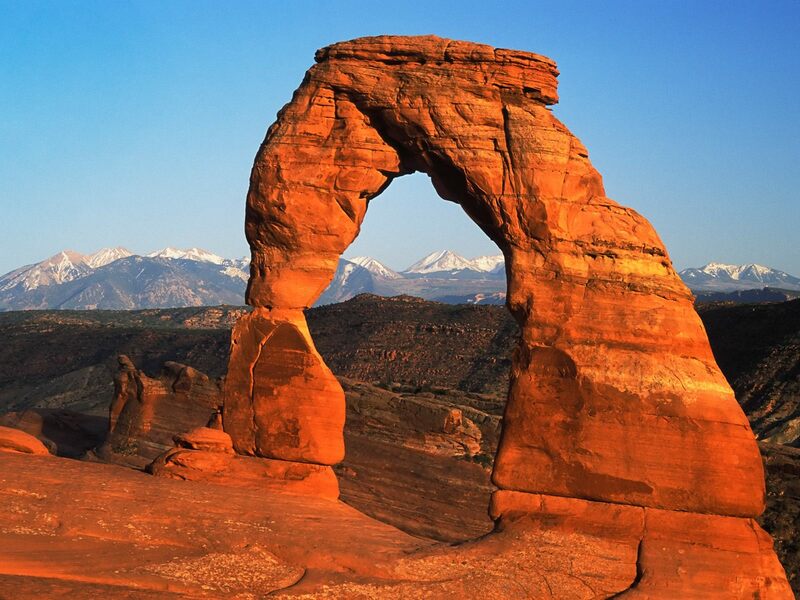 The first area we will visit is Arches National Park, near the town of Moab in eastern Utah. Experts say this park has the greatest number of arches of any similar geographic area in the world. 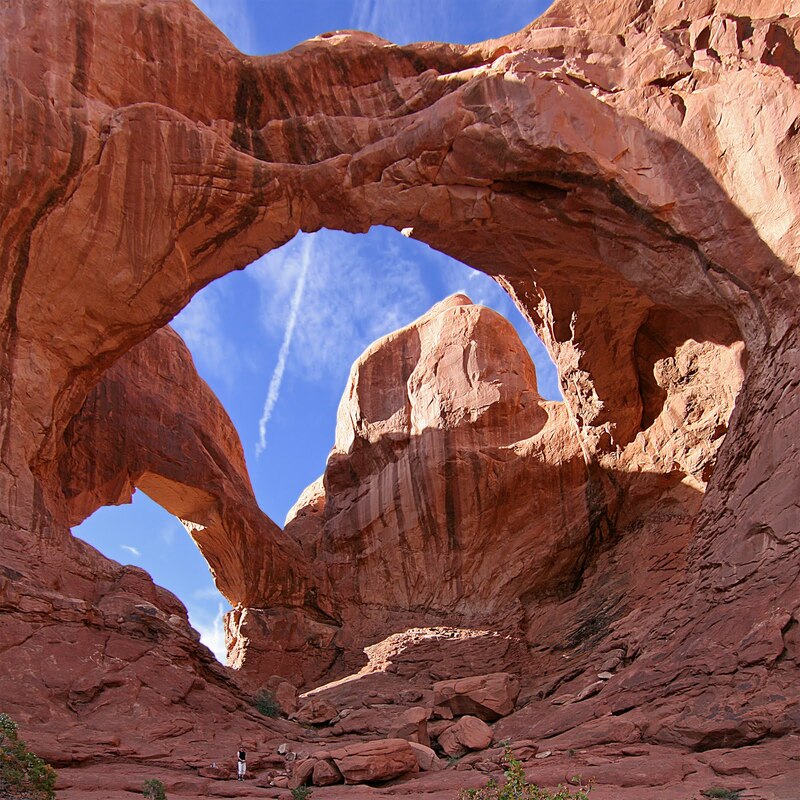 Arches are formations that look like half a circle above an opening or hole in a rock. Arches can also appear as curved bridges between two large rocks. Scientists say the area began forming almost two thousand million years ago. As time passed, the area filled with material left by rivers. Other rocks buried the area. Then great pressure deep in the Earth created huge mountains. A soft rock called sandstone began moving under this pressure. The sandstone moved upwards when it met other, harder rocks. These sandstone structures continued to grow for about one hundred fifty million years. Arches developed from thin rock walls. They resulted when pieces of sandstone fell away from the formations. Scientists say water is the most important element in creating arches. Water destroys the chemicals that keep rock particles together. The rock breaks as the water freezes and expands. Then the wind blows away the loose rock particles. Scientists say that most arches seen today developed within the past million years. But they say the land formation continues to change slowly over time. New arches form. Older ones fall away. 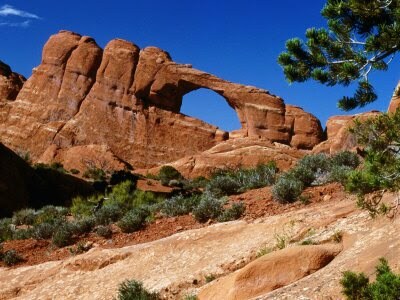 The National Park Service has counted more than two thousand arches in Arches National Park. The smallest of these is an opening of less than one meter; the longest measures more than ninety-three meters. The rock formations in Arches National Park are mostly a deep red color. Rocks get their color from minerals. The red color is the result of iron oxide or rust. Scientists say the presence of iron in the rock shows that the weather was hot and dry when the rock was first formed. 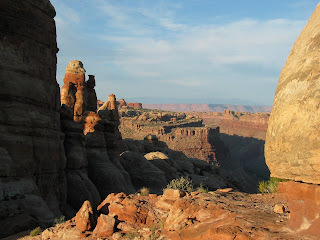 Arches National Park is not the only place in Utah where visitors can see arches and other beautiful rock formations. They are also found in the nearby national park named Canyonlands. Canyonlands National Park is a wild, lonely area of rocks, rivers and desert plants. Only Native Americans, cowboys, and explorers entered this area before the park was established in nineteen sixty-four. Even today, it is difficult to walk or ride through the park. The roads are still made of dirt. Driving requires a special vehicle. 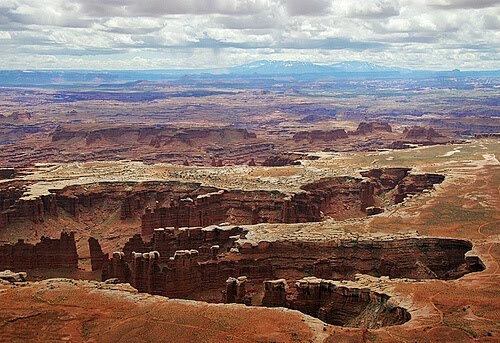 The National Park Service says Canyonlands National Park is wild America. Rivers created the area as they cut rock into many different formations. 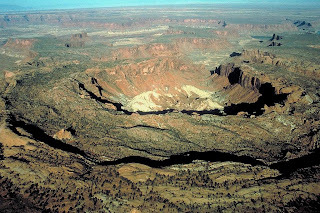 At the center of the park are two deep canyons carved by the Green and Colorado Rivers. Three areas that surround these rivers are included in the park. One of these areas is called the Maze District. This area includes rock art made by people who lived there more than two thousand years ago. Yet many people today cannot see the Maze District because it is so difficult to reach. The area is one of the loneliest and wildest in the United States. Another area of the park is called the Needles. It includes long, thin, red and white rocks that reach high into the air like fingers on a hand. A good way to see all the areas of Canyonlands National Park is to fly over it. A one-hour trip in a small airplane makes it possible to see the park's red rocks, arches and flat areas where ancient Indian people once lived. From high in the air, visitors can clearly see the third area of the park -- a high broad flat rock known as the Island in the Sky. The island was formed between the two rivers. Another interesting formation is called the Upheaval Dome. This is a huge hole about four hundred fifty meters deep and one and one half kilometers wide. It is considered to be the most unusual geologic structure in the area. Two other national parks in Utah are included on our trip. 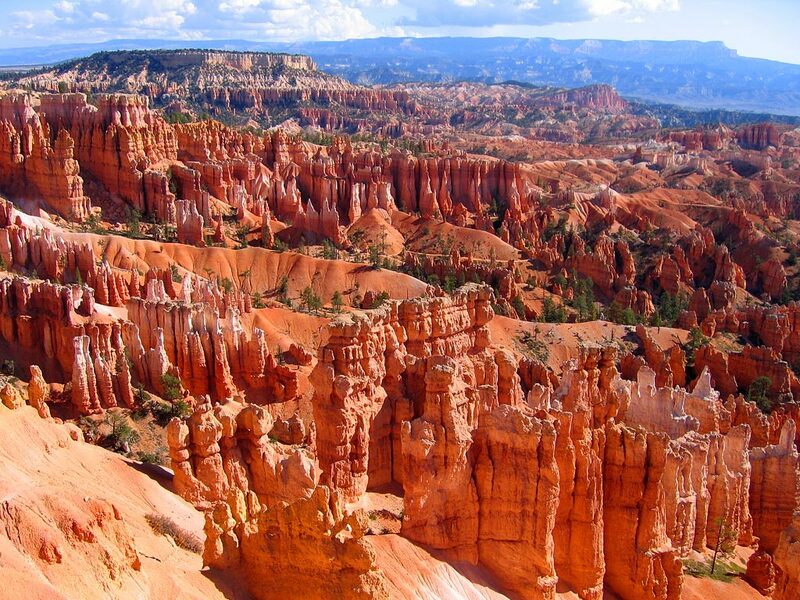 The first is Bryce Canyon National Park, in southern Utah. The rock formations there are the result of deposits made by ancient lakes and rivers over a period of about twenty million years. The walls and cliffs of Bryce Canyon once were completely covered with water. 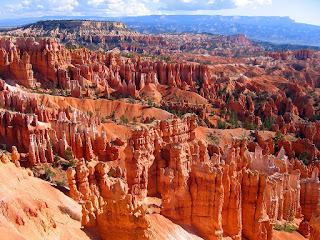 About two million people visit Bryce Canyon National Park each year. The park reaches a height of more than three thousand meters. It includes more than eighty kilometers of trails for walking. Or visitors can drive a twenty-nine kilometer long road, stopping off at different points to enjoy the colorful formations. 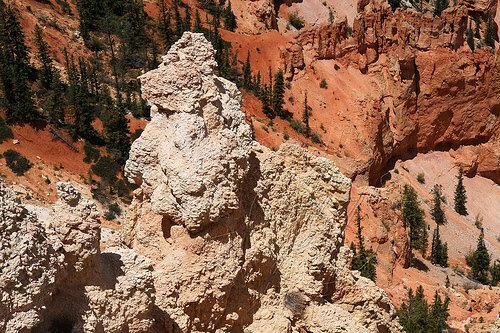 These rock formations at Bryce National Park are extremely beautiful. Sunlight makes many of them appear to be the color of fire. Some of the most unusual kinds of rocks in the park are called hoodoos. They are tall and thin, and seem to grow from the canyon floor. Their colors are bright red, orange and yellow. Some of the hoodoos have interesting shapes and names, like Thor's Hammer, the Hunter, and the Wall of Windows. One hoodoo known as the Poodle looks like a poodle dog sitting on top of a long narrow rock. The fourth and final park we will visit today is Zion National Park. It is not far from Bryce. But it is very different. About three million people visit the park each year. 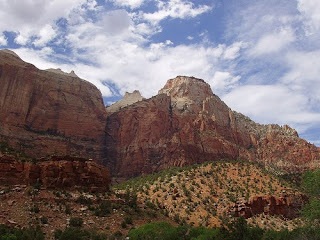 Zion National Park is an area of huge rocks that were cut through by a river. The area is really a desert, receiving only about thirty-five centimeters of rain a year. 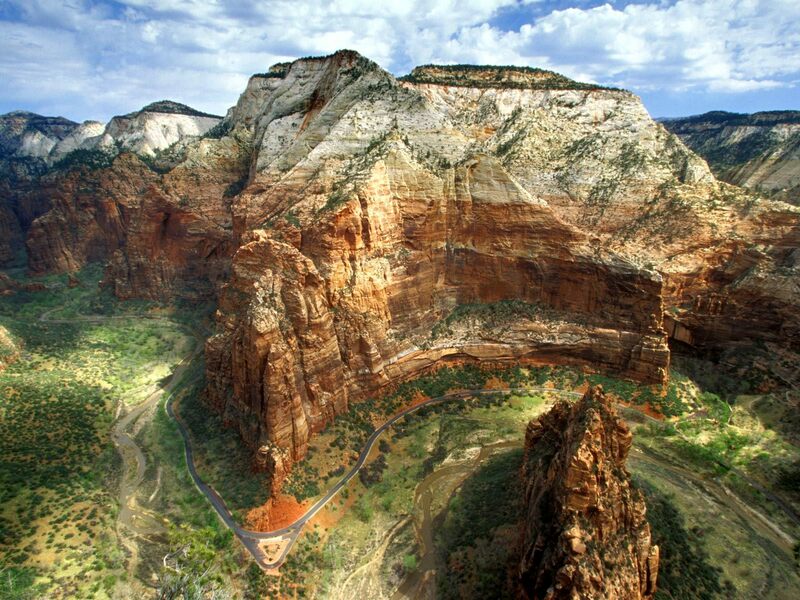 Visitors to Zion National Park are surprised by the huge mountain structures of red, pink and white. Driving is restricted in much of the park. Instead, visitors travel in small buses that take them to areas where they can walk on paths into the wild areas. One easy walk is almost two kilometers. It takes hikers to a clear pool of water and waterfalls. One of the more difficult walks is an eight kilometer hike that is not for anyone afraid of high places. That is because the path ends at the top of a rock high above Zion Canyon. Another hike is a twenty-two kilometer walk that ends at an unusual rock formation. Experts say it could be the world's largest free-standing arch. Visitors who choose not to take long walks can leave the small bus at different stops. At each stop, they can walk a short path to a viewing area where they can see a different part of the park. Some of the huge mountains have interesting names. One of the park's largest sandstone formations is known as the Sentinel. Another area includes three mountains next to each other. They are called the Three Patriarchs -- Abraham, Isaac and Jacob. They were given the names by a visiting Christian church leader in nineteen sixteen. Visitors to Zion National Park can sleep under the stars in a camping area. Or they can stay at the hotel in the park. Many people stay in the nearby town of Springdale and travel into the park each day. Of course, visiting these parks includes time to watch local wildlife. Visitors can see all kinds of birds, deer, foxes, and even mountain lions, elk, moose and bears. But they must be careful not to get too close. Many wild animals can be dangerous if they feel threatened. Most people who visit America's national parks bring a camera and take many pictures. They want to enjoy again and again the natural beauty of the rocks, plants and wild animals. But many who have seen the parks we have described today say that such pictures cannot really capture the huge, beautiful areas of land. 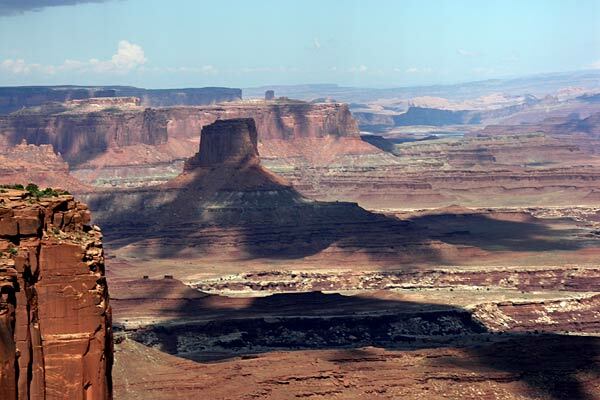 These visitors say that they will never forget the beauty of the four national parks in Utah. This program was written by Nancy Steinbach. It was produced by Mario Ritter. You can read this report online and download audio at voaspecialenglish.com. I'm Faith Lapidus. And I'm Steve Ember. Join us again next week for EXPLORATIONS in VOA Special English. 4. 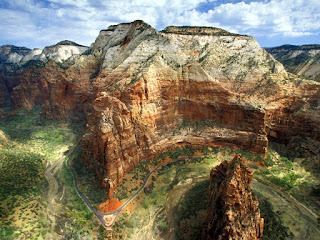 Every year, Zion National Park is visited by __________ people. 5. The greatest number of natural stone arches in the world are found __________________ . b. "How Arches are Formed"
d. four parks in Utah. musical score that fits the mood of these strange landscapes. Click between the four arrows in the lower right hand corner to see the video in full size. Just relax and watch it, allowing yourself to be pulled into the rich, varied, and beautiful scenery.